Noosa Council’s Peregian Digital Hub is further supporting local technology talent and attracting innovators to the Shire by partnering with a local not-for-profit Indigenous enterprise. 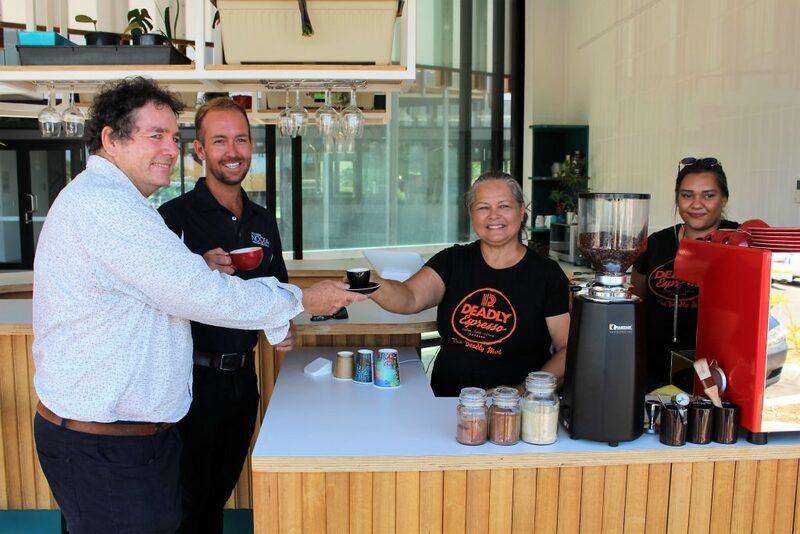 The Hub has launched new “barception” service – an on-site barista and reception service – to be operated by SevGen Indigenous Corporation as part of its Deadly Espresso initiative, in support of young talent. Young Indigenous people can gain new skills and learn about small business through the initiative. SevGen currently operates other Deadly Espresso sites across the region, including a coffee kiosk at Council’s Reviva Recycling Shop at Doonan. The Hub is a purpose-built facility opened in 2018 designed to house multiple technology companies and individual workers in an open, modern environment suited to collaboration and co-working. This entry was posted in News and tagged Entrepreneurship, innovation, Noosa Council, Peregian Digital Hub, small business, smart tech, technology.